The polo neck does not get enough credit as far as I'm concerned! It's often seen as an unflattering way to keep warm on chilly days. I don't blame skeptics though, my early memories of a polo neck are chunks of unflattering knit that literally swallowed up my entire neck and half of my face; in the most dull colours. But the polo neck has since evolved, made with much lighter fabrics and a more relaxed neckline. It's definitely worth giving it another try. I've created a new styling series on the blog that will document 3 different ways to style staple items. Since we're heading into cold weather in the Southern Hemisphere, I thought a polo neck is the perfect way to start this series. 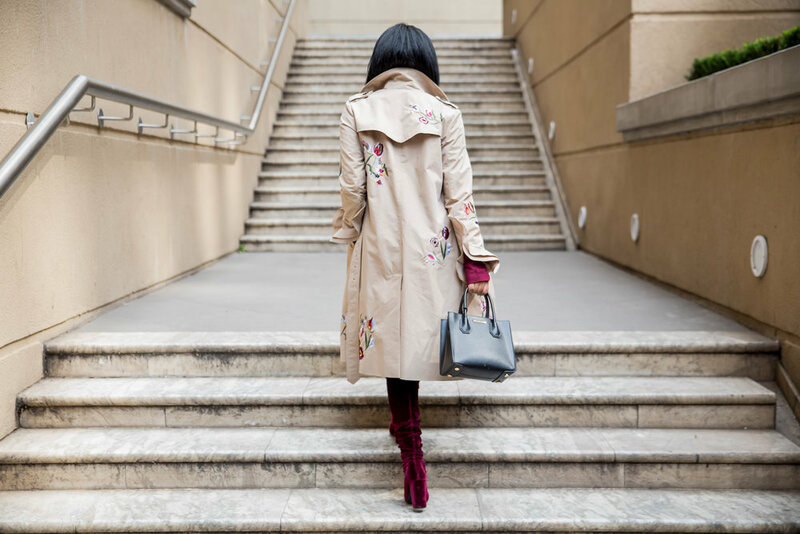 For the first look I created the perfect outfit for a chilly lunch date in the city. I love lunch dates, especially with my girlfriends; lunch quickly turns into sundowners because there never seems to be enough time to catch up. 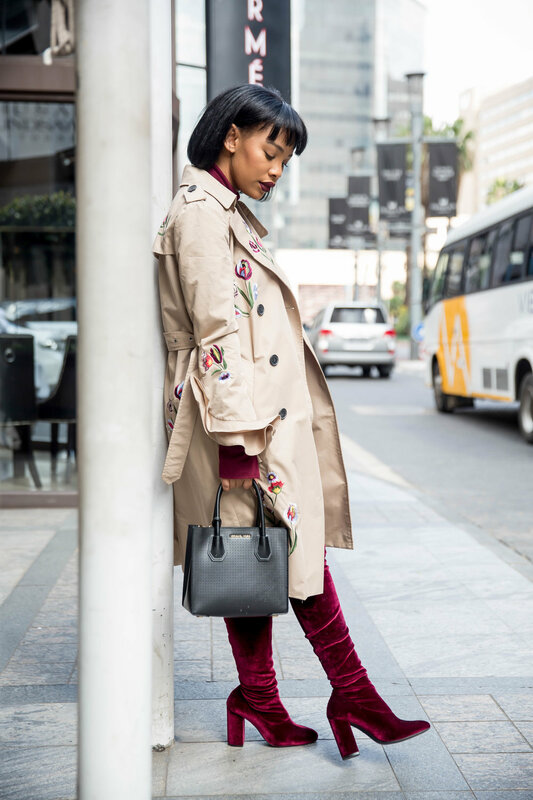 I paired my polo neck with a trench coat which works really well for rainy days too. 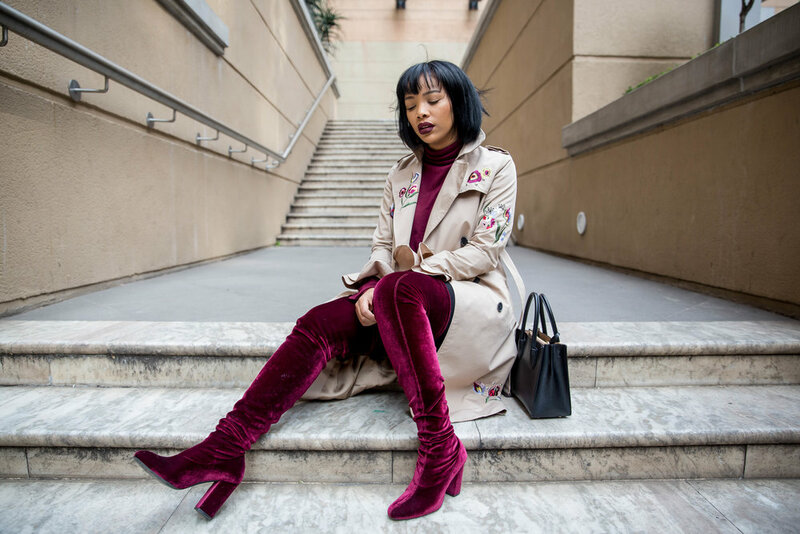 It's no coincidence that my boots match this outfit so perfectly, I love an unconventional matching set. 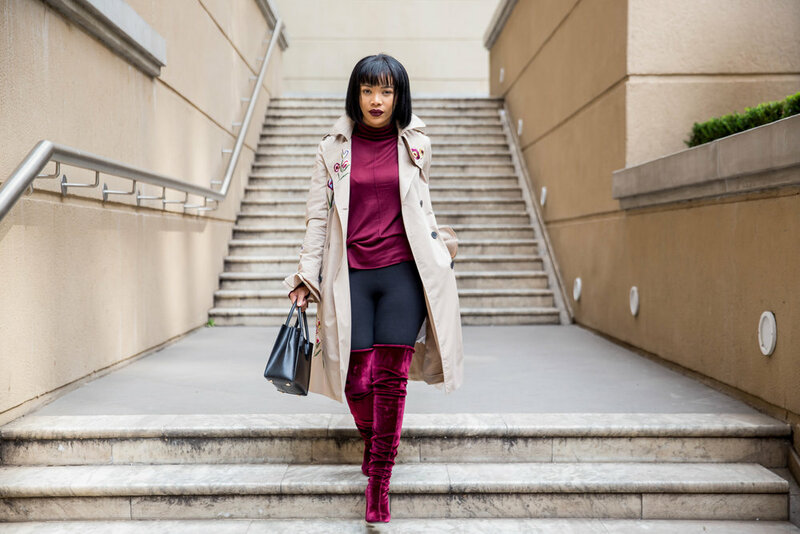 When wearing thigh-high boots, I always go for leggings or stockings underneath to get a really sleek look, I love wearing jeans just as much as the next girl but the thought of stretching out my boots is petrifying so I avoid it like the plague! I hope you enjoy his new series, lookout for my workwear and night out styling of the polo neck coming soon.